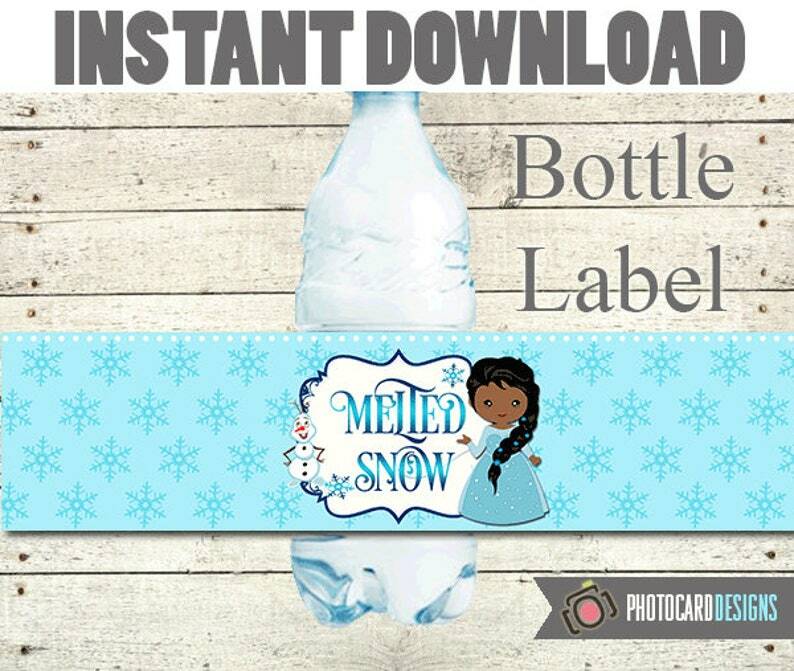 FROZEN Water Bottle Label Printable File. INSTANT DOWNLOAD. Printable is 8.5x11. * Design is not customizable. Football Bottle Label, Football Party, Football, Football label, Water Bottle Printable, Party, Digital, INSTAnT DoWNLOAD, PRINT TODAY! Deer Bottle Label, Woodland Party, Deer Water Bottle label, Bottle, Deer decoration, DEER FACE, Digital, INSTaNT DOWNLoAD & PRInT TODAY!